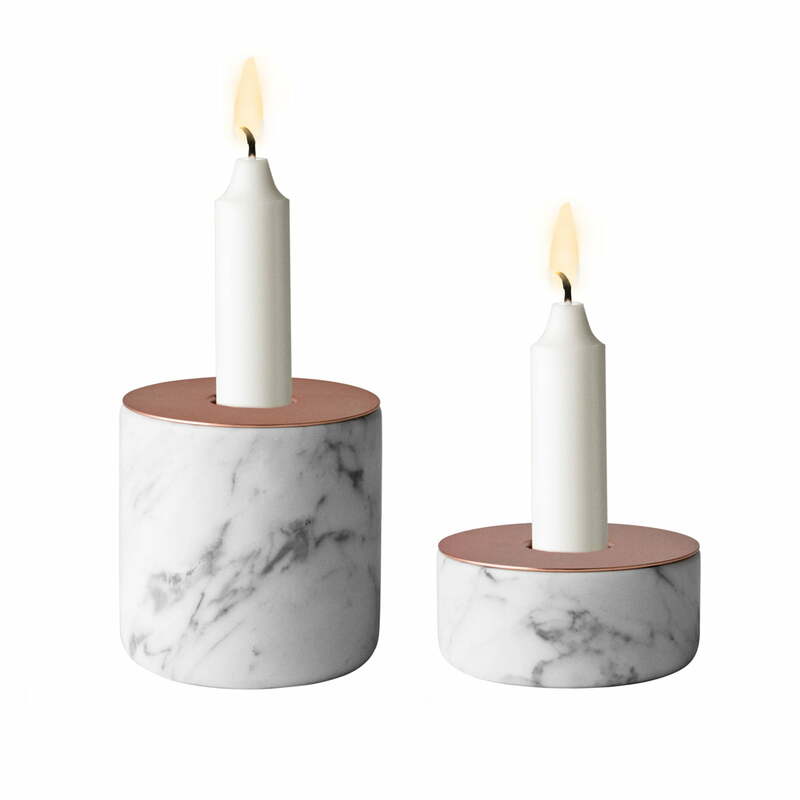 Chunks is a collection of rough and solid holder for normal candles by Menu. There are various materials in different sizes available which can be ordered and combined as you please. 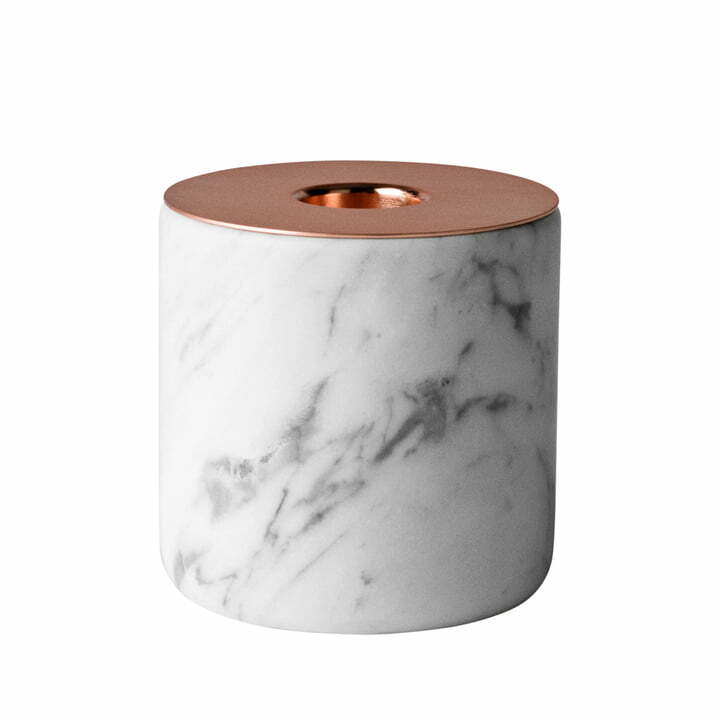 The Chunk of Marble by Menu consists of a rough marble foundation and a shiny copper-coated upper surface. This mix gives the Chunk of Marble an ethnicsl and romantical impression. The light of the burning candle is reflected by the copper surface and creates a wonderful light. Single image of the Chunk of Marble Tea Light Holder with a copper-coated plate in the size L by Menu. The tea light candleholder is 7.5 cm high and has a diameter of 8 cm.